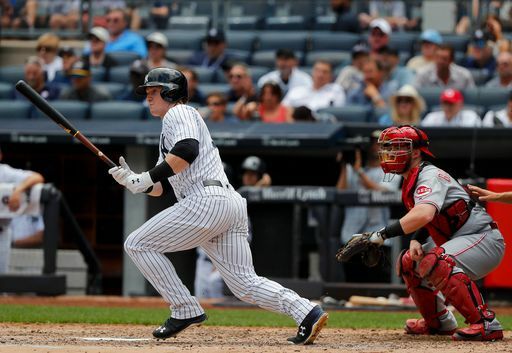 The Yankees looked to extend their winning streak to three games and complete a two-game sweep of the Cincinnati Reds in a Wednesday matinee in the Bronx. 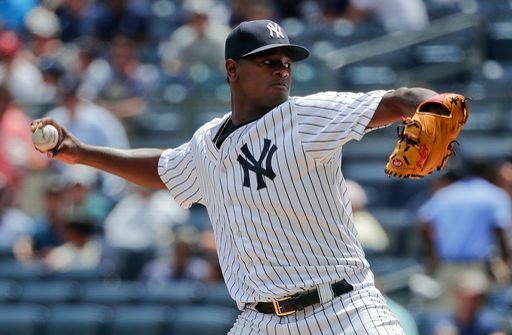 The Yankees sent All-Star Luis Severino to the bump looking for his seventh win of the season against Homer Bailey. The Yankees erupted for five runs in the seventh inning to take a commanding lead that they would not relinquish as they went on to win 9-5. The Yankees struck first in the bottom of the third on a RBI single by Clint Frazier to right field to plate Ronald Torreyes, which put the Yankees ahead 1-0. As Yogi Berra would say, deja vu stuck all over again in the bottom of the fifth when Frazier singled home Torreyes once again to plate the second Yankee run. The Yankees scored their third run of the afternoon in the sixth inning on a RBI single from Chase Headley to score Didi Gregorius. Headley would come around to score on a RBI single from Torreyes, and the Yankees led 4-0 after six innings. The Reds scratched two runs in the top of the seventh as they were aided by an error by Gregorius. However, the Yankees would explode in the bottom of the inning to put the game out of reach. The Yankees answered right back in the bottom of the seventh on a RBI double by Gary Sanchez, which scored a motoring Clint Frazier from first base. Sanchez would reach third on the throw home and was then driven in by a Matt Holliday single to make it 6-2. Gregorius then stayed red-hot mashing his fourth dinger in three games to make it an 8-2 game. 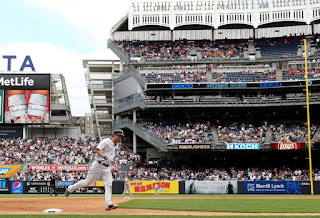 Then, Todd Frazier hit his first home run as a Yankee to make it a 9-2 Yankee advantage. Severino pitched a great game allowing only three hits in seven strong innings. He allowed just two runs, although neither of them were earned. He also recorded nine strikeouts and allowed only two walks. In the process, he lowered his ERA to 3.03 on the season. Luis Cessa took over in the eighth inning and he got into a bit of trouble. After striking out Scooter Gennett, the ball got away allowing him to reach first on the dropped third strike. Cessa then walked Joey Votto, and allowed a three-run homer to Adam Duvall to make it a 9-5 game. However, David Robertson entered for the ninth inning and put the Reds down in order with a strikeout to complete the two-game sweep. The Yankees bats were very much alive in the win as every player in the lineup except Jacoby Ellsbury was able to record at least one hit. The rookie sensation Clint Frazier continued his impressive tear with two hits and two RBIs, and reached on a walk. Gregorius also kept up his hot streak with a home run and two RBIs. 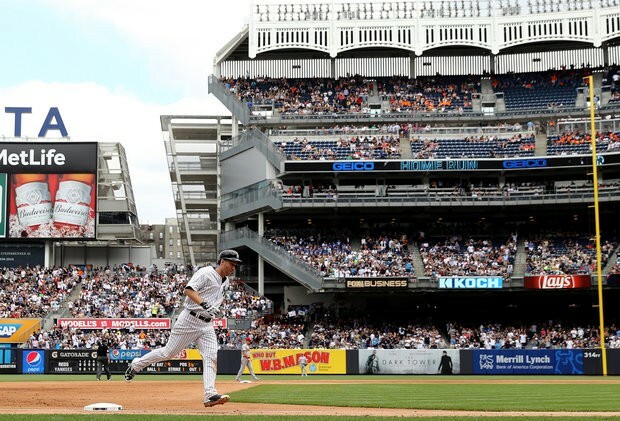 Newly acquired Todd Frazier was able to record his first bomb as a Yankee, with a solo shot in the explosive seventh inning. The Yankees will begin a very important four game series against the Rays tomorrow at Yankee Stadium. Now only half a game back of the Red Sox for lead of the AL East, and still only one and a half games up on Tampa in the Wild Card, this series will be one of the biggest so far this season. After going 10 straight without a series win, the Bombers have now won two in a row and will look to build on that moving forward.